Upon the event announcement on the social media and the official STEM Games website as well as numerous rumors on what STEM Games actually is, a lecture entitled “All about STEM Games” was held on March 14 at the Faculty of Electrical Engineering and Computing in Zagreb. On behalf of the Faculty of Electrical Engineering and Computing, students were welcomed by Full Professor Marko Delimar, PhD, the Vice Dean for Education. The Vice Dean said that the Faculty of Electrical Engineering and Computing as well as other higher education institutions involved in the competition organization were extremely proud of the project. “We are facing a challenge. We expect that STEM Games is Croatia’s long-term future”. After the Vice Dean’s speech, the students were greeted by Robert Vučković, a Board member of Croatia osiguranje – a general STEM Games sponsor. Mr. Vučković emphasized that Croatia osiguranje, as the leading insurance company, is socially responsible and supports numerous projects such as this one. However, they also perceive STEM Games as an excellent opportunity to recruit the best students. The next speaker was Marijo Volarević, an Executive Manager of Digital Strategy and Development Sector of Croatia osiguranje, who stressed that Croatia osiguranje decided to support STEM Games because of the story behind the scenes and the general theme “NextGen Society”. 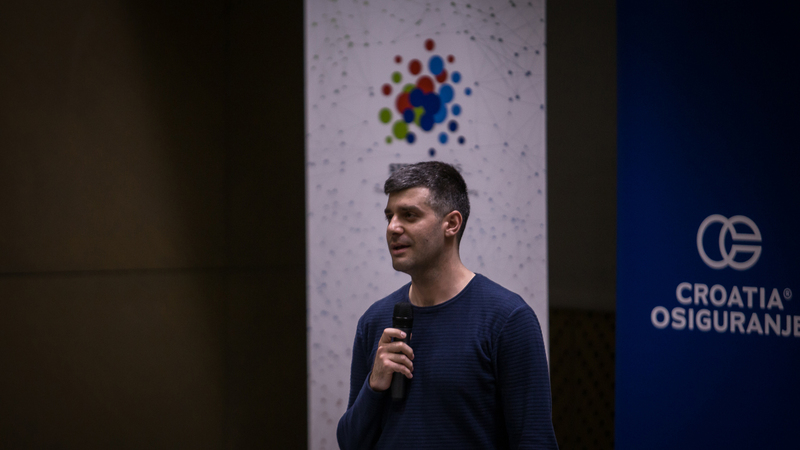 Finally, the students were addressed by Saša Tepić, the Head of the Organization Board, who provided the rationale for the competition, explained its course and purpose, highlighted the educational benefits as well as its entertaining component. You can watch the entire lecture below. After you find out everything you wish to know, apply and become a part of the first STEM Games.